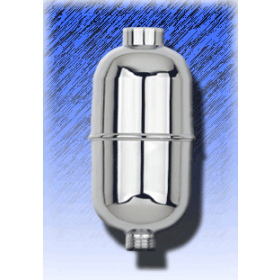 Remove Chlorine and other contaminants quickly and easily from bath water with this Bath Ball - Bath Filter. 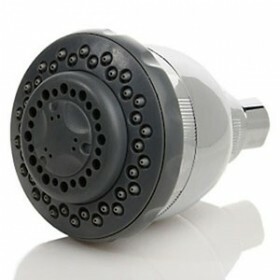 Remove Chlorine and other contaminants quickly and easily from bath water with this Bath Ball - Bath Filter. If you enjoy having a lovely soak in the bath but are concerned about inhaling all the toxic chemical fumes which are released from hot bath water, then you will be delighted with this Dechlorinating Bath Ball - Bath Filter. 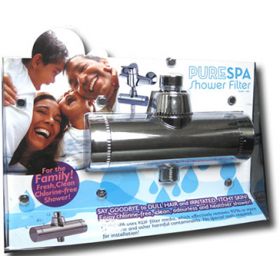 This high quality Bath Filter works superbly to remove Chlorine and other contaminants from your bath water. 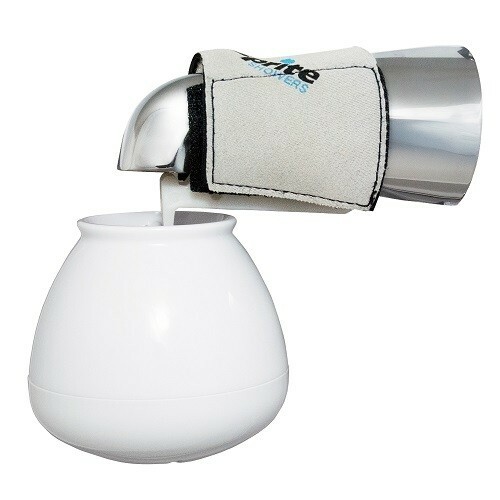 Simply attach the universal harness and Bath Ball Bath Filter onto any bath tap sprout and then as the bath water flows through the Bath Filter chemicals and impurities will be removed. Leaving you bathing in crystal clear, healthy chemical free water. When normal tap water makes contact with our unique Chlorgon medium, it transforms tap water laced with harmful chemicals (such as chlorine) and other contaminants into crystal-clear pure bath water. 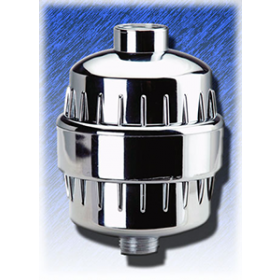 Chlorgon is used in all of Sprite Industries filter products, many of which have been thoroughly tested by the NSF and Certified to standard #177 for shower filtration. So you know you can trust this brand and this filter medium. Here's a link to Sprite's NSF certifications. 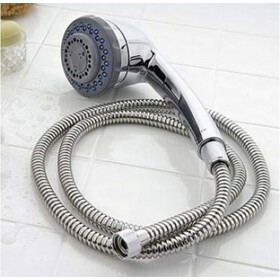 Simply attach the provided harness onto your tap and then attach the bath ball. Allow tap water to flow through the ball and pass through the filter to filter all your bath water quickly and efficiently. Terrible eczema since moving into a new house. Always had eczema but this has really helped calm it. No more furious scratchin after a bath. I will be a long term customer of Pure Showers Bath Ball! I have been suffering with very dry, itchy skin and this has definitely helped. We are in a hard water area and I thought this might be the problem. The water is still very alkaline but not having done any other tests its impossible to know what has changed. Happy it is working and will continue to use it. It was more difficult to attach to our bath because we don't have a tap in the bath, so I had to get a cord from elsewhere. Very costly for what it is.. it's plastic and salt bag? I'm hoping to invest in a an actual filter to fit over the tap eventually but this is excellent for a temporary measure or if you travel around as me and my family do. Highly recommended this product, it no so big so easy to pack in luggage and ultra easy to use. Drop it in the bath or over the tap and let the bath ball do its magic!!!! Slows down the water run if I hang it on the tap but otherwise good as the water here is strongly chlorinated and this does the trick! Great product and it arrived in good time. it seems to work well no more chlorine smell. It does what it says, but can be pain to pull it around for 3 minutes before getting into the bath. But I figure at least it is working, no more chlorine smell. Filter works great and noticed a difference in my hair after first use. The staff at PureShowers was very helpful in answering my questions about set up. Good, fast service and the product works. I live in a very hard water area, my skin has been very dry through ill health but i have seen a marked improvement since i've had the filter shower and the bath filter ball. Have already told friends about them. Great product - works very well. Perhaps would change the instructions to leave the ball filter in the water longer than 3 minutes but otherwise I am completely satisfied! Thanks! product is execellent.Does what it says on the tin. Would recommend this item to anyone who is allergic to Chlorine in their bath water. I can feel the difference in the bath water within the first few uses. My skin is less dry now as I take frequent baths in the winter. I usually let the tap run over the ball, remove the ball and then add whatever bath salts I feel like on the day.